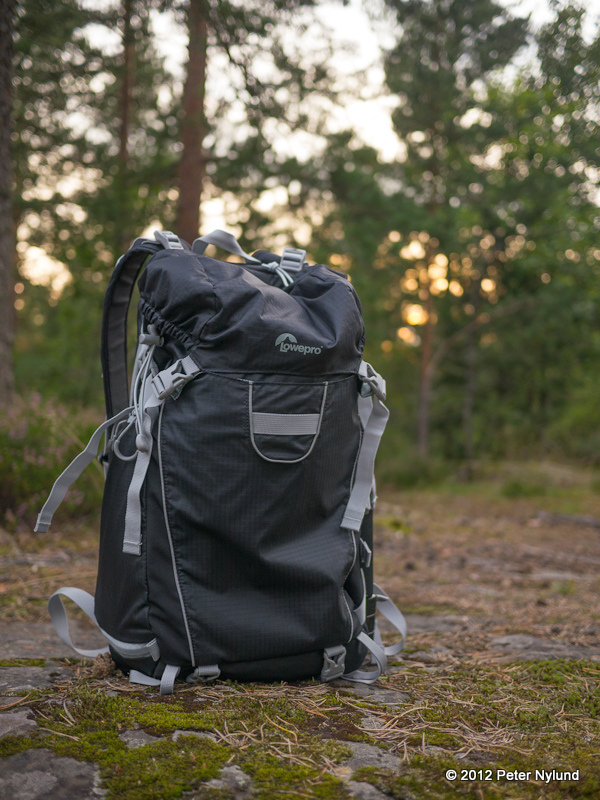 During my trip to Lapland a month ago, I had my camera gear (except a pocket camera) in an ordinary 30 liter backpack. The result of this was that the camera didn't come out often enough, since it involved taking off the backpack completely and dig out the camera. My trusty Lowepro Slingshot 102 AW, while being an excellent fast-to-use camera bag, didn't have any extra space for the sleeping bag and down jacket, hence I had to take a slightly bigger backpack. 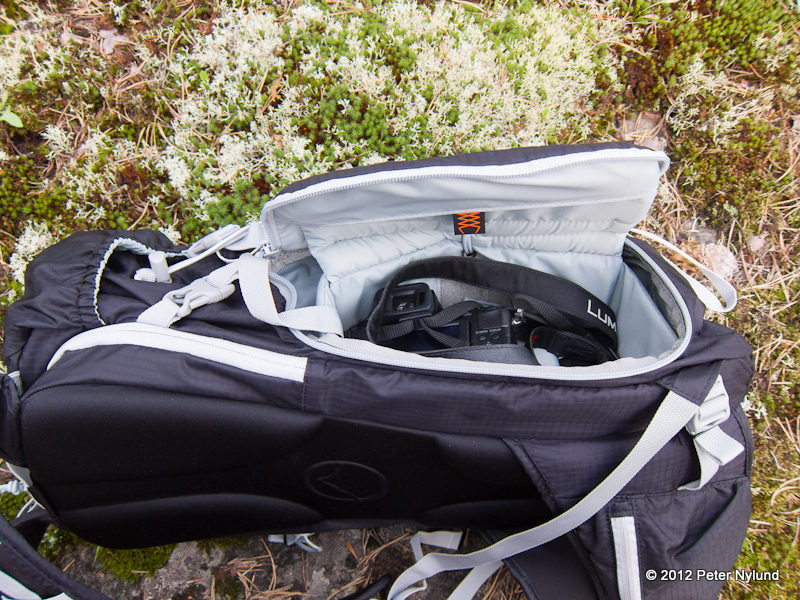 Loaded with some camera gear and clothes in the upper compartment it sits well on the back. At home I confirmed that my winter sleeping bag would fit there, though it was a tight fit. The waist belt is rather light and flimsy, but since I won't load it with more than 3-4 kg it won't be a problem for me. 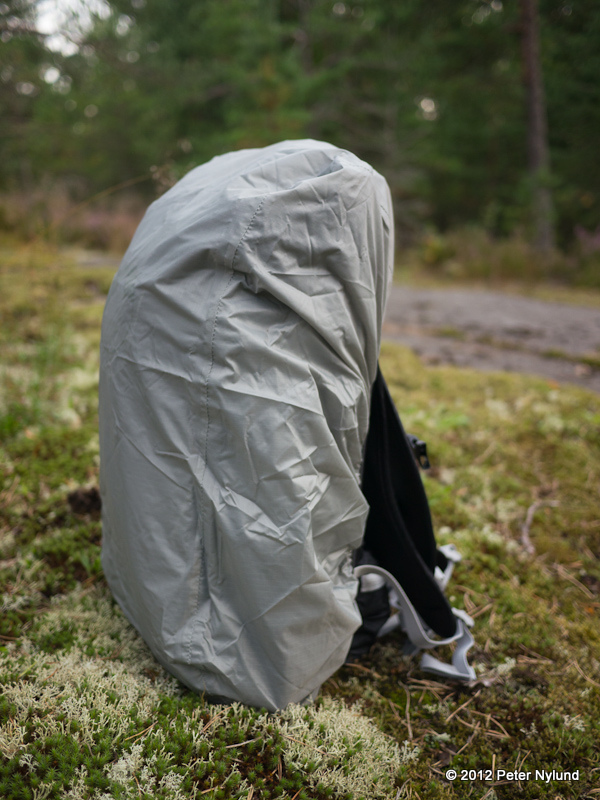 Accessing the camera is fairly fast and can be done without taking the backpack off completely. 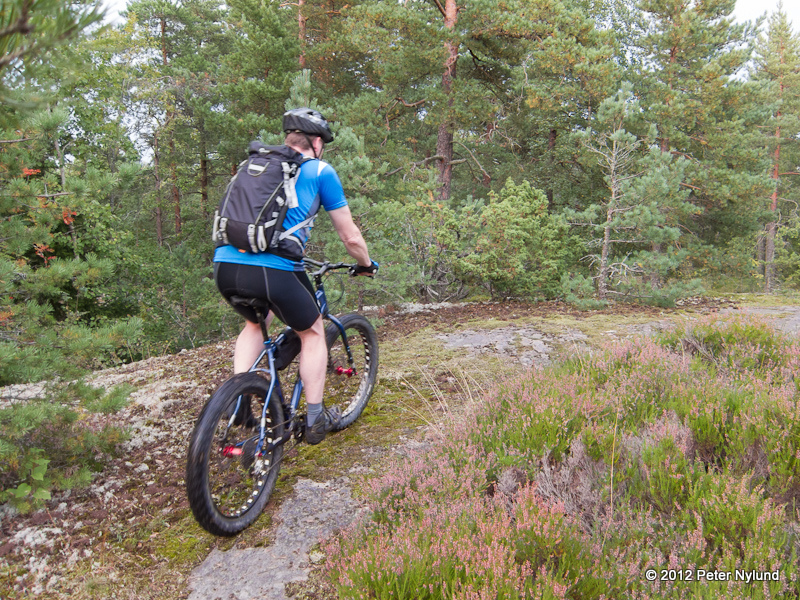 A slingshot type bag is faster, but this is not bad. No problem getting a Panasonic GH2 with the Olympus 14-150 mm lens mounted to fit. A few extra lenses and a flash unit also fit without problems. In fact, there is a little too much room (m43 gear is small), but the tightening system does a good job of preventing things from bouncing around. There is no good place for memory cards, though. 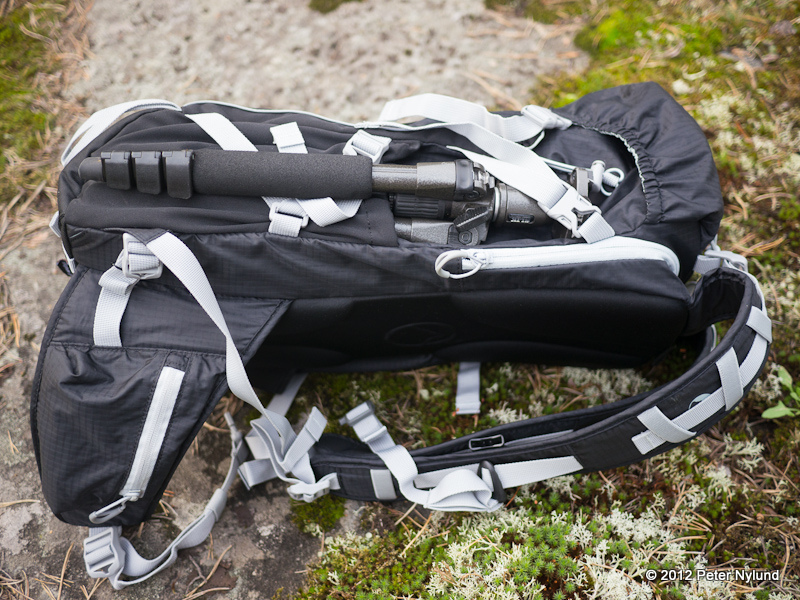 There is is a water bottle pocket on the right side, which fits a small tripod perfectly. A small pocket on the lid for e.g. mobile phone and other small items. Inside the bag is another small pocket for e.g. a wallet. The waist belt has two small pockets suitable for e.g. energy bars. 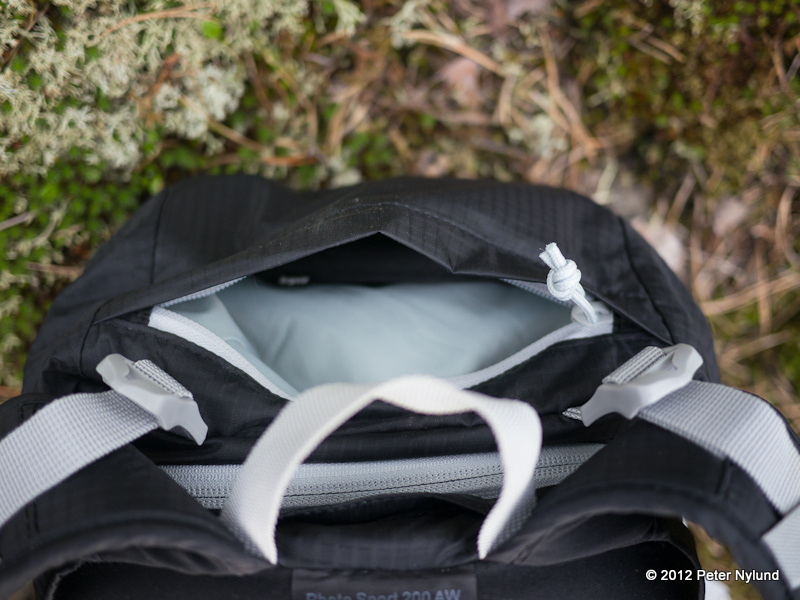 There is a separate compartment for a water reservoir, which also fits a laptop or an IPad. I probably won't use it much. 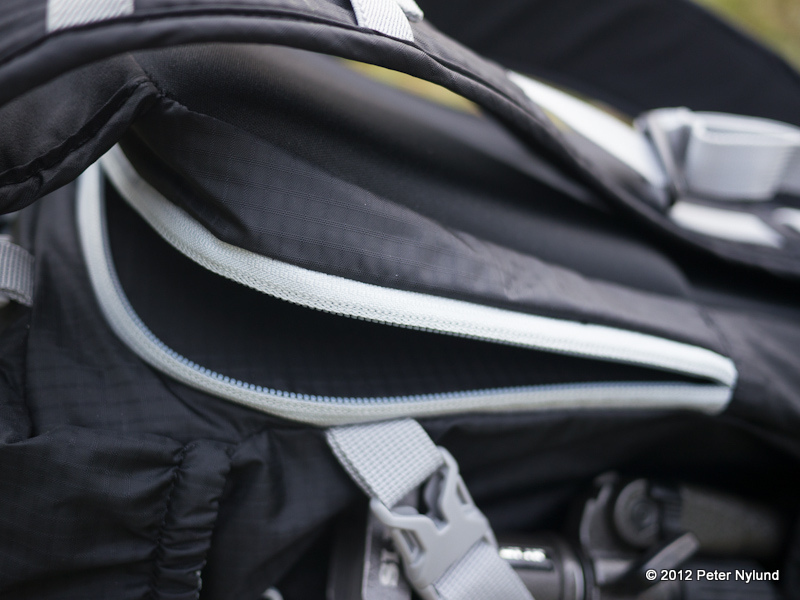 Another possible place to secure a small tripod on the bottom of the backpack. The backpack seems to be what I was looking for. 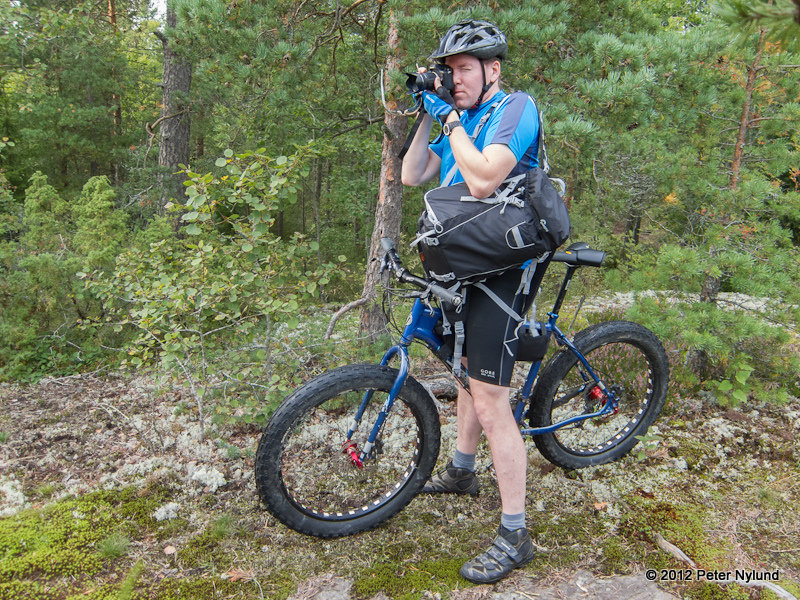 I will use it for bikepacking trips, but probably not for ordinary rides, since the Lowepro Slingshot 102 AW works well for that and I have room in my frame bags for some extra gear. 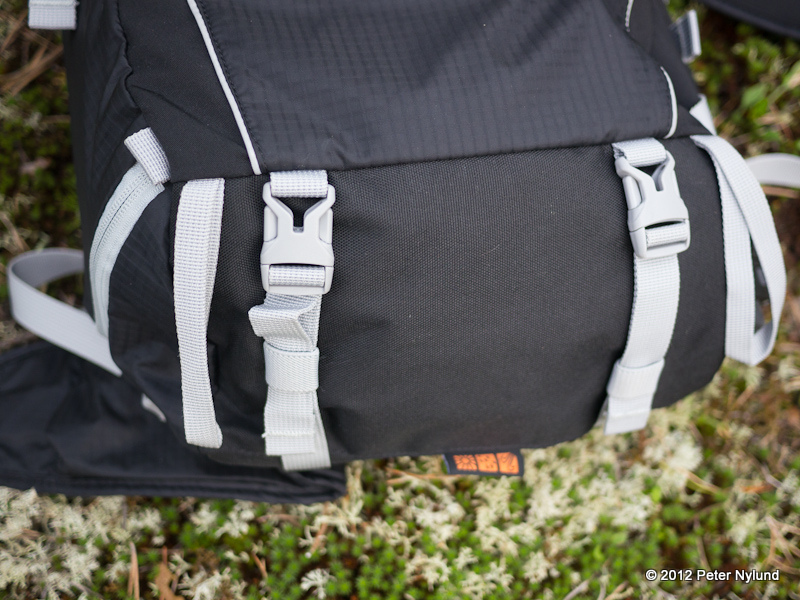 There is also a smaller slingshot version of the backpack, the Lowepro Photo Sport Sling 100 AW, which could be a good option if less room is needed.